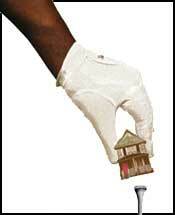 After the CBA, will Ratner negotiate a Neighborhood Benefits Agreement? Forest City Ratner seems willing to meet and negotiate with representatives of Brownstone Brooklyn neighborhoods around the proposed Atlantic Yards footprint over issues like traffic and urban space. Still, it's unclear whether the company would hire an urban designer to facilitate a community planning process and doubtful that it would agree to not use eminent domain. Those are some conclusions from a meeting last night of the Park Slope Civic Council (PSCC), which sent a delegation to meet with the developer five weeks ago. First came the Community Benefits Agreement (CBA), an innovative (for New York) but controversial effort to ensure that local residents and minorities get access to jobs, job training, and housing, among other things. But the CBA was signed with only eight groups, and it's hardly clear that they represent "the community." So when the PSCC representatives met with Forest City Ratner, they asked that the CBA "be reopened and expanded to include Neighborhood agreements," to include input from the neighborhoods immediately surrounding the project. Does that mean that Forest City Ratner will downsize the project and do more to "repect and connect with" adjoining neighborhoods? "They didn't make any real commitment [at the meeting], but I think were ready to negotiate," reported Trustee Louise Finney, who chairs PSCC's Atlantic Yards Committee (and co-chairs the CB6 Transportation Committee). But FCR wants to meet first with groups from neighborhoods like Boerum Hill and Fort Greene, Denworth said, noting that "a Neighborhood Benefits Agreement with just one neighborhood isn't the point." Note that the Park Slope Civic Council--whose board represents a diversity of opinions--has not taken a public position for or against Atlantic Yards, but has expressed community concerns about the project's potential impact. The meeting with Forest City Ratner was initiated by Borough President Marty Markowitz. Denworth at one point responded to a board member who thought the PSCC's posture was too confrontational. One tactic is opposition, she said, but another is, "whether you like it, or are in the middle [and may object to certain aspects], or you think it's going to happen, is to try to negotiate change and mitigation. It's the view of the Executive Committee and the Atlantic Yards Committee that that's what we should do. The big question is: 'are they operating in good faith?' and we have no idea. We are operating in good faith." Denworth described the effort to negotiate a neighborhood agreement as separate from the role of the Council of Brooklyn Neighborhoods (CBN), which is providing community input for the state process of environmental review. The PSCC board authorized its Atlantic Yards Committee to continue discussions and to reach out to other neighborhood organizations to further the idea of a Neighborhood Benefits Agreement. In the meeting with Forest City Ratner, along with asking for neighborhood negotiations, the PSCC delegation also asked the developer "to withdraw the threat of eminent domain and limit the project to the property that you already control." There was no indication of assent, and Forest City Ratner, while saying that it aims to minimize the use of eminent domain, likely will have to seek it, as some property owners have said they won't sell their land. Also, the PSCC group asked the developer--with the help of city, state and borough funds--to hire an urban designer "to engage in a full-fledged community planning process." What kind of designer? "A widely recognized expert, such as Peter Calthorpe, who is designing the Stapleton, Colorado project for Forest City Enterprises, or Jan Gehl, the renowned Danish city planner." Those are interesting choices, since Calthorpe--who focuses on "diverse, mixed-use, and pedestrian friendly" communities--is already working for the corporate parent of Forest City Ratner, and Gehl recently visited Brooklyn and criticized Forest City Ratner's Metro Tech and expressed misgivings over the plan for Atlantic Yards. Supporters say the Community Benefits Agreement Forest City Ratner signed with eight local groups gives black Brooklynites, including black businesses and professionals, a seat at the table regarding Atlantic Yards. They call it an important step, even if it's "not the best CBA we could have". Critics, however, say the CBA isn't legitimate, noting that only two of the signatories were incorporated at the time, and the low-income group ACORN has recently been severely criticized by some progressives. But behind the support is calculation, and historical anguish, often not vented publicly. 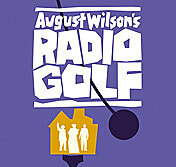 Or you can go to August Wilson, the great American playwright (1945-2005), who finished his one-a-decade cycle of plays set in Pittsburgh's African-American Hill District with his 1990s play, Radio Golf, which debuted earlier this year. The Hill District is just minutes from downtown; in this play, some black entrepreneurs are planning a federally-funded redevelopment project that will proceed as long as the city determines the neighborhood "blighted" and agrees to knock down houses blocking a new apartment building and national chain stores. Now that's not a direct parallel to Atlantic Yards--residents in the proposed Brooklyn project footprint range from rent-stabilized to much better off, of various ethnicities; Prospect Heights has been gentrifying on its own; developer Forest City Ratner says that, unlike in its malls, chain stores won't be the priority for the project's relatively small retail component. Still, emotional and conceptual resonances remain, especially since several signatories of the Community Benefits Agreement stand to benefit themselves from the project, and some have already done so. In one scene early in the play (which appears in the November 2005 issue of American Theatre), real estate developer Harmond Wilks, a candidate for mayor, and his friend and business partner, bank VP Roosevelt Hicks, discuss local powerbroker Bernie Smith's invitation to Roosevelt to join in buying in a local radio station. (The image above is from the production at the Mark Taper Forum in Los Angeles; the one below is from the Seattle Rep production.) Consider Smith a local version of Forest City Ratner president Bruce Ratner. Harmond: Why's Bernie want to partner with you? What's he get out of this? Roosevelt: We'll be able to buy the radio station for two-thirds of what it's worth. We buy it at that undervalued price and right out of the gate we're ahead making money. Harmond: That doesn't make any sense. Why would the owner of the station sellit to you for less than he knows that it's worth. Is the station in debt? Roosevelt: The seller of the station gets to defer a large portion of his capital-gains taxes by taking advantage of the FCC's Minority Tax Certificate. It's an advantage for him and an advantage for us. Harmond: So you're the black face? You're just the front? Roosevelt: Naw, Harmond. Naw. I get to get in the door. Remember in school we used to say we wanted to be in the room when they count the money? You're there already. This is my shot. Harmond: You'll get in the room. All it takes is some time. You can't let Bernie Smith use you like this. Roosevelt: This is how you do it! This is how everybody does it. You don't think Mellon has ever been used? We're talking about an eight million dollar radio station! This is the game! I'm at the table! There was a time they didn't let any blacks at the table. You opened the door. You shined the shoes. You served the drinks. And they went in the room and made the deal. I'm in the room! Them motherfuckers who bought and traded them railroads... how do you think they did it? This is business. This is the way it's done in America. I get to walk away with a piece of an asset worth eight million dollars. I don't care if somebody else makes some money 'cause of a tax break. I get mine and they get theirs. I pull this off and next time I'm on the other side of the deal, sitting at the head of the table. Right now I'm sitting here. I'd rather that than to be sitting on the other side of the door. Harmond, I have to take this. This is not going to come along again. The window of opportunity is already starting to close. If I don't do this Bernie will get somebody else. The key line here is: I don't care if somebody else makes some money 'cause of a tax break. I get mine and they get theirs. That's the question facing local leaders, especially black leaders, and it's not an easy one. Some, like state Assemblyman Roger Green, have chosen to endorse the Forest City Ratner project, calculating that the jobs and affordable housing, however few in comparison to the total project cost and original promises, are still worth delivering to his constituency. (Likely this would be an accomplishment cited in his putative Congressional candicacy.) Columnist Errol Louis, without attempting to assess the public costs of the project, attacks opponents of Atlantic Yards [for having] demonstrated that they couldn’t care less about black businesses or black economic empowerment in Brooklyn or anywhere else. Others may look at the broader public interest and, like City Council Member Letitia James, declare themselves "unbought and unbossed", quoting the late Shirley Chisholm, the first black woman elected to Congress. Similar calculations likely have been made by the Revs. Herbert Daughtry and Al Sharpton, who support the project, while a larger group led by local clergy, the Downtown Brooklyn Leadership Coalition, opposes the project. Note that Daughtry asserted to the Brooklyn Papers that the DBLC rejected a "good faith" effort by Ratner. Playwright Suzan-Lori Parks interviewed Wilson in the November 2005 edition of American Theatre magazine. Parks asked Wilson about a metaphor in the play, concerning an old house that would have to be demolished for the project, that also speaks to his playwriting. Parks: I wonder about the architecture, the renovation in the Hill District in Radio Golf, and the structure of the play. Were they ever at odds? Like, you've got the architecture of the play which has certain demands—and then there's that moment about bread pudding. It's this beautiful digression. That's not part of the traditional structure of a play, kind of like the house on Wylie Avenue, the remnant of something old and powerful. But somehow you have found a place for it. Was the subject matter of Radio Golf ever at odds with what the play has to do? Wilson: I hope not. I certainly don't think so. For me it had to have a certain smoothness, a different kind of language, like that of my characters Harmond and Roosevelt—but at the same time, we're talking about a 100-year history. So the bread pudding is simply representative of some of those houses that are still standing—the old way, the parts of the community that we're giving up. Miss Harriet, the fried chicken—these are all the things that were part of this Pittsburgh community that are being changed because of this slickness with the new building and Barnes & Noble and Whole Foods and Starbucks, simply to entice middle-class people to move back to the Hill, which is only a four-minute walk from downtown. That's prime real estate, and now what you've got is this slum sitting here. Now if we can get black and white people to move back into this area, we will have reclaimed this prime real estate for a better use. But the bread pudding is saying, "Wait a minute, there's a history here and it doesn't fit in with you guys' stuff." The bread pudding is not part of the traditional structure of the play, but it's part of the structure of this particular community backed up against change. For those visiting Seattle, it's playing there from January 19 to February 18 of 2006. It likely will come to New York. Even if it does play on Broadway, perhaps the Brooklyn Academy of Music (BAM)--just around the corner from the proposed Atlantic Yards--could also host a production. (By the way, Bruce Ratner has been a BAM Trustee since 1989 and was the Chairman from 1992 until 2001.) It certainly would have both local and national resonance. In his latest column in the black-oriented Our Time Press, headlined Atlantic Yards and Black Business Development, Errol Louis attacks me for a "smear" in a recent posting. However, as noted below, he ignores the contradictions in his own writing. Oder complains that "the minority-owned engineering firm that will oversee air monitoring and safety requirements during asbestos abatement at several buildings is based in Staten Island, and the minority-owned plumbing company that will disconnect water and sewer lines to the buildings is based in Queens. "...Oder is pretending to be concerned that the minority businesses getting in on Atlantic Yards happen not to be based in Brooklyn. In reality, opponents of Atlantic Yards have demonstrated that they couldn’t care less about black businesses or black economic empowerment in Brooklyn or anywhere else. Last year, for instance, on the busiest shopping day of the year, a group of misguided ministers joined Councilwoman Tish James in an attempted one-day boycott of stores in Atlantic Terminal Mall, which is run by the same developer behind the Atlantic Yards Project. The boycott flopped, but if it had succeeded it might have harmed local residents: of the 1,688 employees who worked in the mall at the time, 81% lived within 5 miles of Atlantic Terminal and 48% within 2 miles. The pro-boycott people didn’t mind putting other people’s jobs at risk. Today, in much the same way, opponents of Atlantic Yards like Oder seem perfectly willing to attack the idea of development dollars going to black and Latino firms in Queens, Manhattan and Philadelphia. We should all recognize this divide-and-conquer tactic for what it is. Like most true advocates of black business empowerment, I would be overjoyed to see any minority- or women-owned businesses — from any borough or city — secure contracts and subcontracts as Atlantic Yards develops. Those who truly want to see more development dollars go to local companies should quit complaining, quit trying to hinder the project and put their favorite firms in touch with Forest City Ratner, the project developer. But don’t expect the antidevelopment complainers to lift a finger to help. Louis, however, contradicts himself. Here he says he'd "be overjoyed to see any minority- or women-owned businesses — from any borough or city — secure contracts and subcontracts." But in the previous column, he wrote, "At this stage of the game the question should be how and when the dollars will begin flowing into central Brooklyn." And he seems unwilling to confront an important issue raised in my previous posting. I pointed out that the Community Benefits Agreement was signed by Brooklyn-based groups but seems to benefit many outside Brooklyn. The CBA process raises the question of how to define the “community”: the geographical area? minority groups? African-Americans? And who speaks for that community? Maybe he needs to go see August Wilson's Radio Golf. Also note that Louis's figure of 1,688 jobs--which comes from an 11/23/04 Daily News editorial that he likely wrote--seems contradicted by a news story in the 11/9/04 Daily News, in which company spokesman Joe DePlasco, said that the mall "has created a thousand jobs." As to Louis's calling me "anti-development," let me say that taking a critical stance on the Atlantic Yards project doesn't mean I'm against development; rather, it means that I'm pro-transparency and pro-democracy. Long before I got involved in studying this project (July 2005), I wrote a letter that the Brooklyn Papers published in its 6/19/04 issue (p. 4), which noted: Many of us may welcome a project such as Atlantic Yards, but not on the terms Forest City Ratner has at this point presented. Toward transparency: where's the Atlantic Yards web site and the latest Brooklyn Standard? "Here we are opening ourselves up - tremendous transparency, for two years," Forest City Ratner VP Jim Stuckey told the New York Times in an article published 11/6/05. Then again, the company hasn't been willing to appear at forums where it would face significant criticism. New designs are in the works--maybe we'll see them when the web site is revived--as Gehry recently said, "[W]e’ve taken chunks of it away, actually, to bring it down into scale, to integrate it with whatever the existing fabric is there and then finding a way, in brick and metal and glass, maybe precast, a language that can work in that area that’ll feel like a very special place." As for the Brooklyn Standard, it was launched in mid-June, according to a Forest City Ratner press release, "to keep borough informed about Atlantic Yards project." But again, the project has changed dramatically since June, and the second issue, released in October, contained updated (though, as I noted, incomplete and misleading) information about the project. It's not technically difficult to put the issue up on the web. Is it that Forest City Ratner and publisher Manhattan Media are unwilling to post a version with the corrections requested by a contributor whose name was attached to stories he didn't write? It's a lingering question. Two errors in one sentence: the Times cites "rezoning ... at the Atlantic Yards"
It was just part of one sentence in a long news analysis about Mayor Bloomberg's second term, but a New York Times article today contained two errors regarding the Atlantic Yards plan. The 1/2/06 article, headlined A Mayor With Lofty Goals, and Better Than Average Odds of Reaching Them, stated: the fruits of his huge rezoning initiatives along the Brooklyn waterfront and at the Atlantic Yards will not all be realized within four years. The area above the railyards (Site 2), and much of the adjacent land in Prospect Heights is zoned M1-1 (manufacturing). The exceptions lie on lots fronting on Flatbush Avenue and Vanderbilt Avenue. 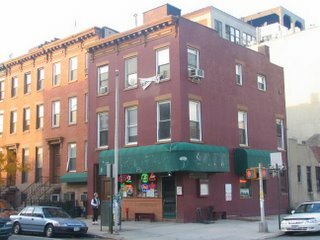 At the intersection of Flatbush and Atlantic Avenue, on Site 1, the corner lots are zoned for commercial development (C6-1). 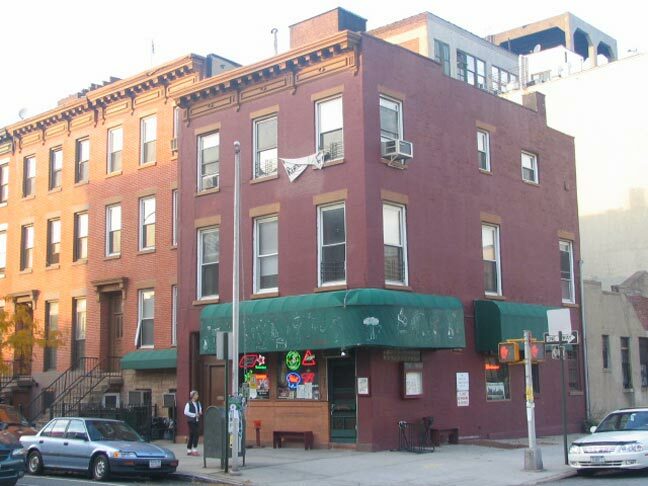 Site 1 also contains a few lots along Flatbush Avenue that are zoned R7-A, for residential use. Residential uses are also permitted along Vanderbilt Avenue, in Site 3, where lots are currently zoned R7-A (see Map 3). Arenas are a special permit use for manufacturing districts, and would require a City Planning Commission review, if built subject to the current zoning (rather than through the authority of the Empire State Development Corporation). If the Ratner plan does, as expected, get sponsored by the Empire State Development Corp., it would be held up to much less stringent public review than under the city’s Uniform Land Use Review Procedure. Rather than have its merits debated in at least four public hearings, a state review would only require Ratner’s plan to be publicly scrutinized at an environmental impact hearing under the State Environmental Quality Review Act. Second, the phrase "at the Atlantic Yards" suggests that it is the name of the railyard that is the single largest piece of Forest City Ratner's planned development--or perhaps the name of some already-existing development parcel. Not so. 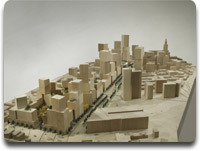 The proposed development is called "Atlantic Yards," which implies that the 22-acre project would be built solely on the 8.3-acre MTA railyard, without the messy need to turn city streets into controversial superblocks, buy out property owners (as in the Dean Street buildings at right, courtesy of Forgotten NY), and exercise eminent domain. The MTA calls the railyard the Vanderbilt Yard. Version of this error--"at Atlantic Yards," "in Atlantic Yards," etc.--have appeared in reports from several different newspapers. But it's sloppy shorthand. The press would better describe it as "at the proposed Atlantic Yards" or "the Atlantic Yards project" or "the Brooklyn railyard that would be part of Atlantic Yards" or "the MTA's Brooklyn railyard," etc. Also, note that the paragraph containing that long sentence is a bit confusing. While it states that "many of [Bloomberg's] goals may not be realized for a decade or more," it also states that "the fruits... at the Atlantic Yards will not all be realized within four years." The latter phrasing could be read to suggest that most in fact would be realized. Given that the project has not yet been approved, and may be subject to litigation that would delay the process, the 2009 opening date for the arena and adjacent towers remains in question. Also, given that the project would be constructed in stages, with a large portion of it finished only by 2016 (according to the current schedule), a majority of the "fruits" may not have appeared by the end of Bloomberg's term. The far west edge of the proposed Atlantic Yards site was rezoned as part of the Downtown Brooklyn development plan, and then taken out of the Downtown Brooklyn plan since that plan went through the city's Uniform Land Use Review Process (ULURP). As the Brooklyn Papers reported, in a 5/1/04 story headlined Downtown Plan overhaul: Other changes announced by the planning commission Monday included cutting out a portion of the plan area that overlaps with developer Bruce Ratner’s Atlantic Yards development, a triangular lot at the intersection of Flatbush and Atlantic avenues where Ratner would build the tallest of his Frank Gehry-designed towers, a 620-foot-tall skyscraper that would be the tallest building in the borough.